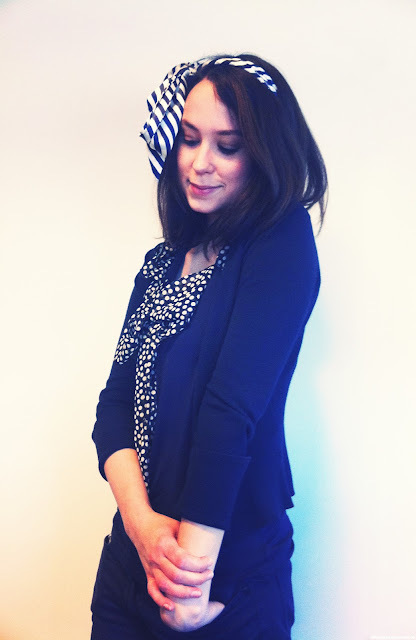 Yesterday my co-worker Sandra wore the cutest navy blue 1920 inspired outfit, and I had to snap a picture of her to share with you. I should do that more often as I work with some lovely ladies who all have very different styles. It's nice to work in a creative environment with great people. I find myself constantly inspired to try out new things and push my boundaries a little.